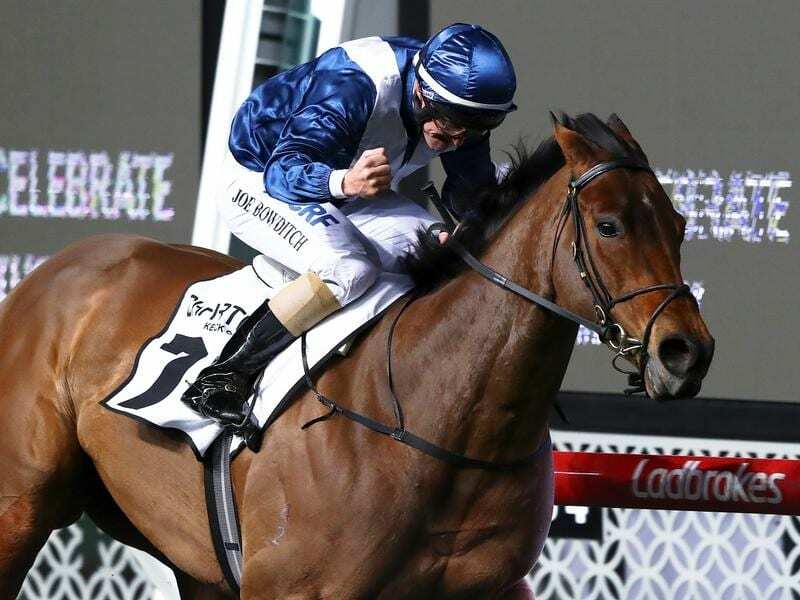 The Oakleigh Plate at Caulfield is among the options for dual Group One winner Viddora. Trainer Lloyd Kennewell has pencilled in the Oakleigh Plate for stable star Viddora’s first autumn target, if she shows him she is ready. Viddora failed to fire in her defence of the Group One Winterbottom Stakes in Perth on December 1, beating only a few runners home in the $1 million race. The six-year-old mare was given a month off and returned to Kennewell’s Caulfield stable at the start of January to prepare for her first assignment of 2019. “I’ve made it clear that we’re unclear of where we are heading at the moment. There’s so many options for her and I’m just going to let her tell us,” Kennewell said. “But if she’s ready for the Oakleigh Plate she will go there. The Group One $500,000 Oakleigh Plate (1100m) is at Caulfield on February 23. Viddora won the Group One Moir Stakes (1000m) at Moonee Valley first-up last preparation before finishing unplaced in the $13 million Everest in Sydney. Kennewell believes the Everest effort on heavy ground probably contributed to her racing flat in Perth. “She hadn’t shown me any signs of it leading into the race otherwise we wouldn’t have gone there,” he said. “I’m happy how she’s going along now. “She has been ticking over for a couple of weeks at Caulfield and she looks brilliant.